For a teacher, the respect of your students, their parents, and your colleagues is hard to top. 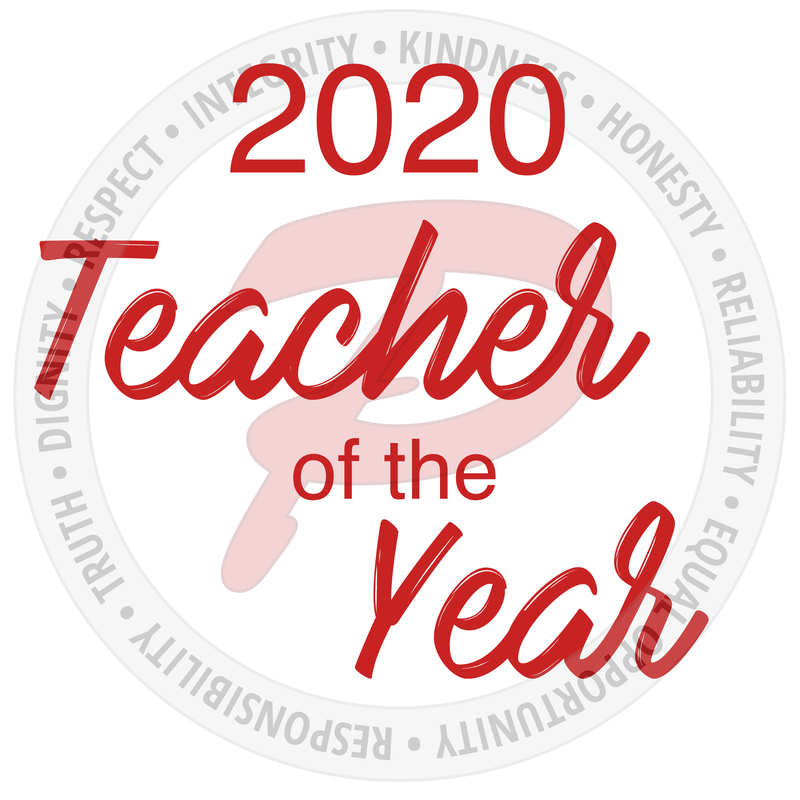 For that reason, Plainfield's Teacher-of-the-Year process includes nominations from the public, with the final selection committee made up of school and community stakeholders. Nominations are now closed for the 2020 Teacher-of-the-Year. Plainfield's 2020 Teacher-of-the-Year will be introduced in May. Your Plainfield Teacher of the Year for 2019 is ... Clarks Creek 2nd grade teacher Ann Mennonno! A committee of teachers, administrators, parents and community leaders interviewed the final three candidates: Mennonno (who was selected to represent the four elementary schools), Shauna McLaughlin from PCMS and Rachel Freeman from PHS, and selected the veteran teacher for this prestigious award. Pictured above: Ann Mennonno with her 2nd grade class, and Marisa Donovan, Colleen Perry, and Scott Olinger. In addition to her second grade classroom, Ann is the English Language Learner (ELL) lead for Clarks Creek. 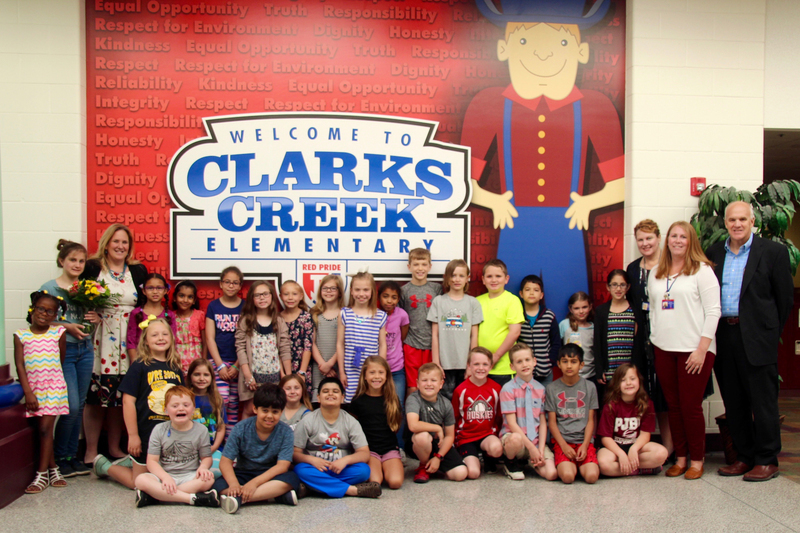 With more than 50 ELL students at Clarks Creek, Ann works with other teachers to ensure a culture of empathy and understanding as these young minds absorb, learn and master the English language. Ann has consistently demonstrated her love for learning as she finds innovative ways to engage her students on a daily basis. Book discussions might include a meal based on the culture of the book, or an outdoor camping day (complete with s'mores), or assignments that include watching the moon each night for a week. Plainfield is rich with accomplished, passionate educators, and each year it is exciting, yet challenging, to select the individual who will best represent our community as Teacher of the Year. As Ann advanced in Indiana's 2019 Teacher of the Year selection process, others realized the strengths she offers as well; she finished as a Top Ten Finalist. She is #1 with us, and we are thrilled to call her one of our own!